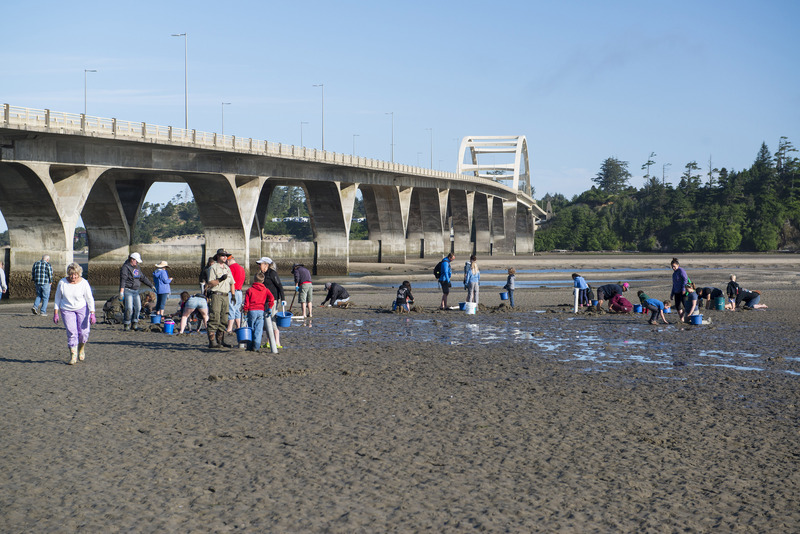 Although clamming is a pastime throughout the beaches and estuaries of the Pacific Northwest, Waldport’s Alsea Bay is unique within Oregon because it’s the only estuary in which, by law, the tide does not have to be negative in order to clam. If crabbing is what you’re looking for, head east to the Alsea Bay Marina, where abundant dungeness crab (Metacarcinus magister) call these deeper waters home. A shellfish license is required for anyone over 12 years old. Before heading out, be sure to call the Shellfish Hotline at 1.800.448.2474 to confirm seasonal closures, or visit the State of Oregon’s Shellfish Biotoxin Closure page.